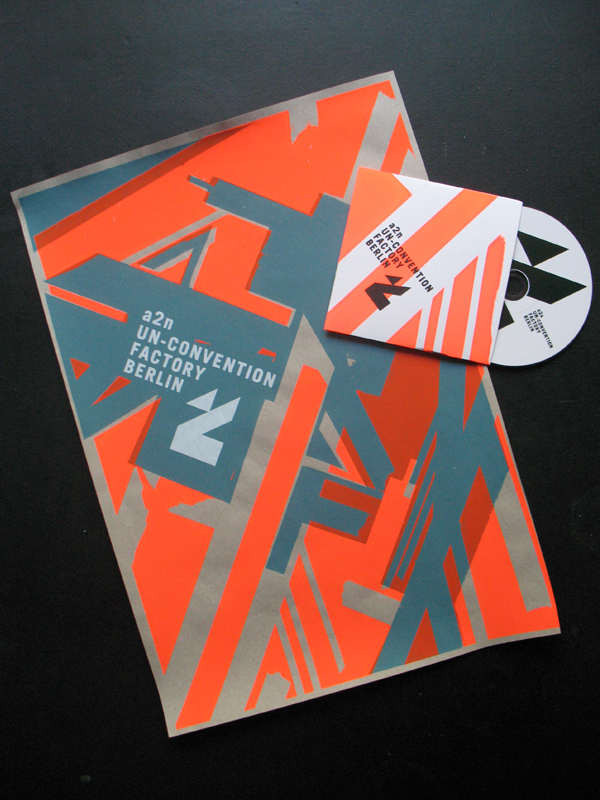 Logo design, limited silk screen printed poster and CD cover edition for the a2n / Unconvention Factory in Berlin. 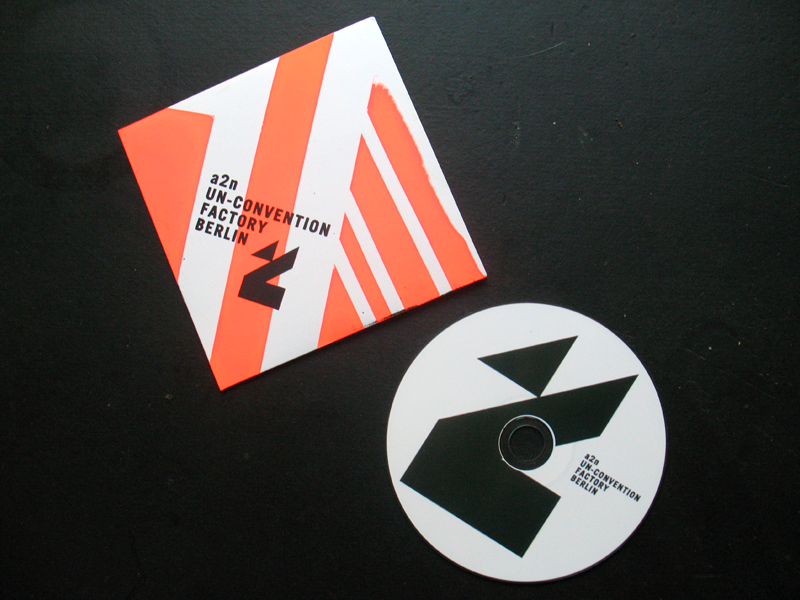 The idea of the a2n / Unconvention Factory workshop was to produce an album in one day. 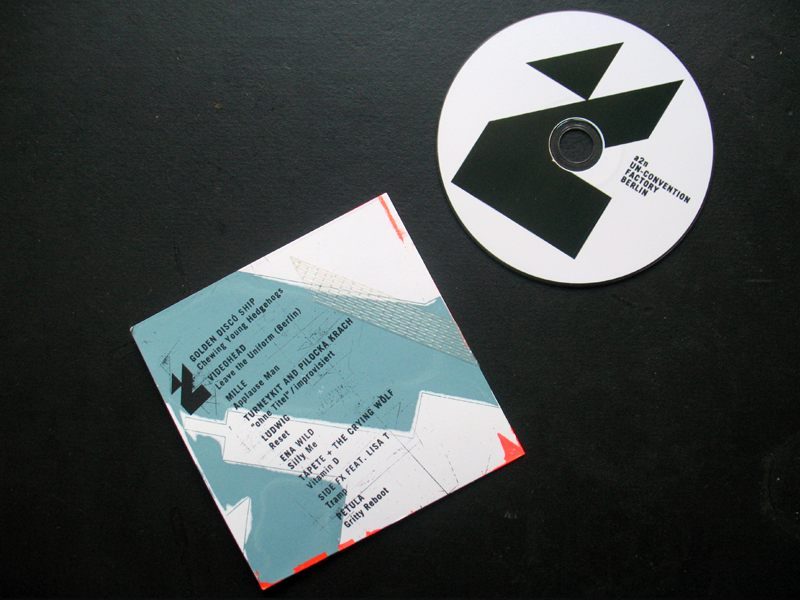 In collaboration with three other designers I created the artwork for the CD and a poster for the event. The artwork was created while the recording, producing and mastering of the songs took place. With help from silk screen printing studio CZentrifuga we designed and printed 40 unique posters and 150 CD sleeves in 10 hours.